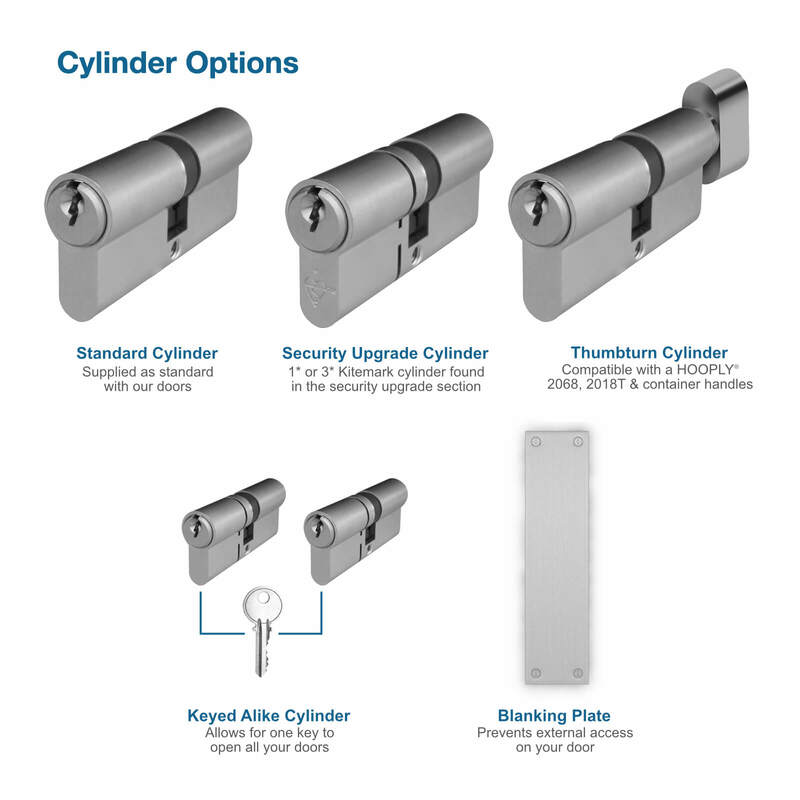 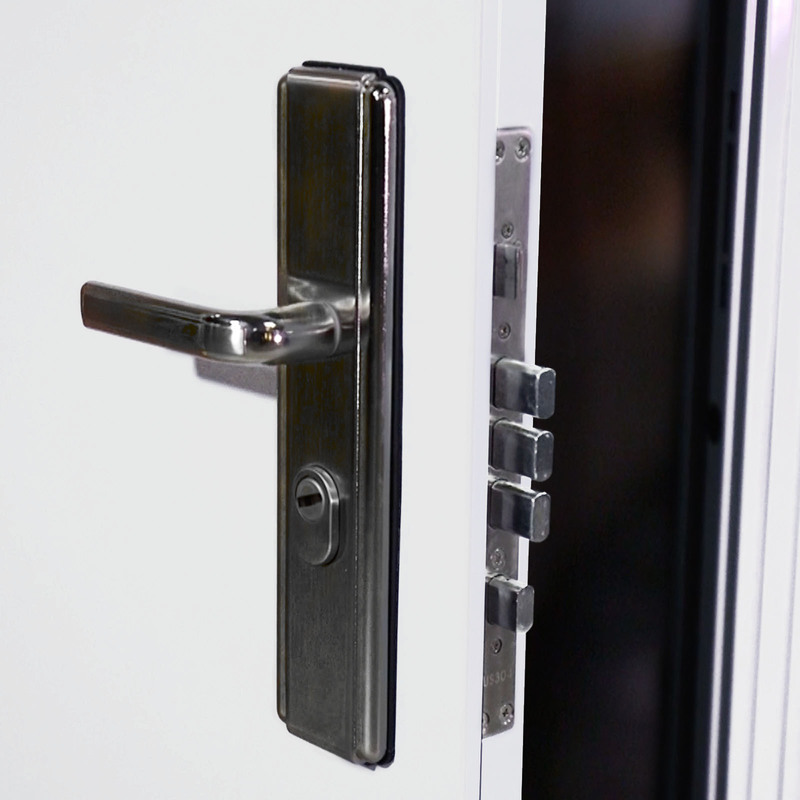 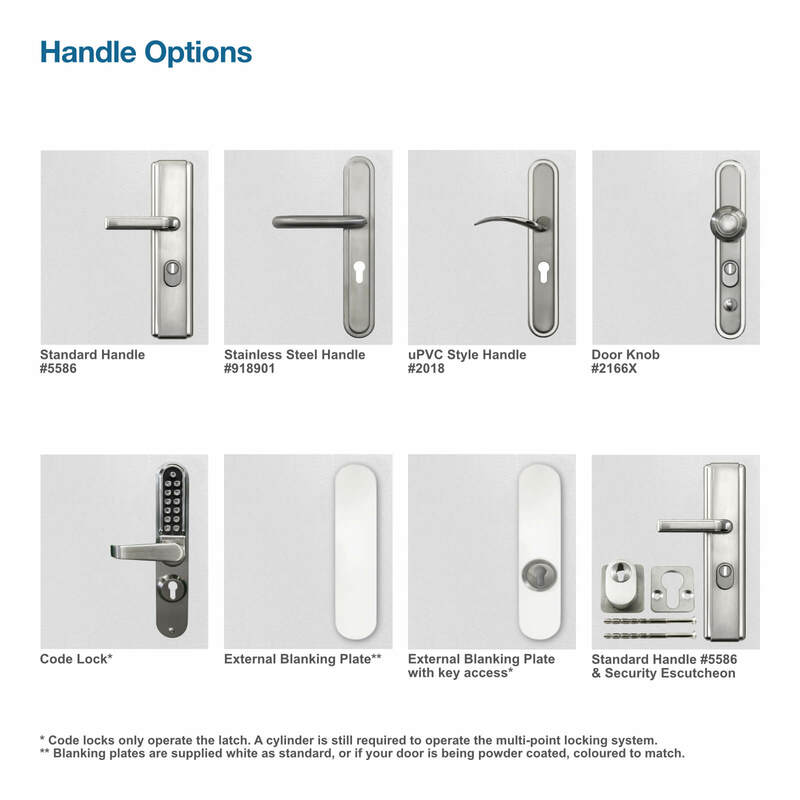 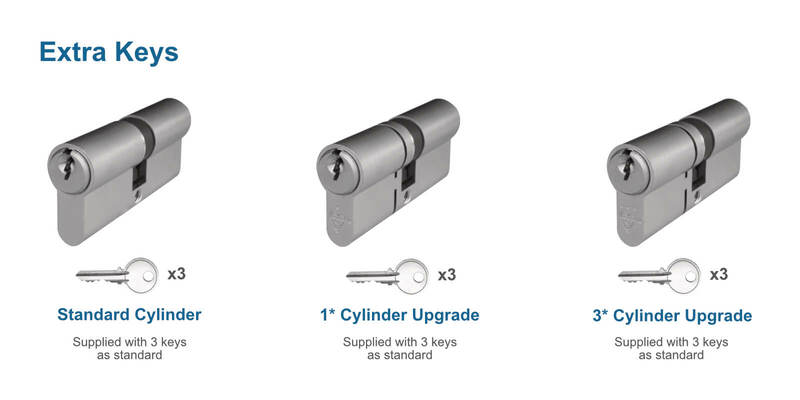 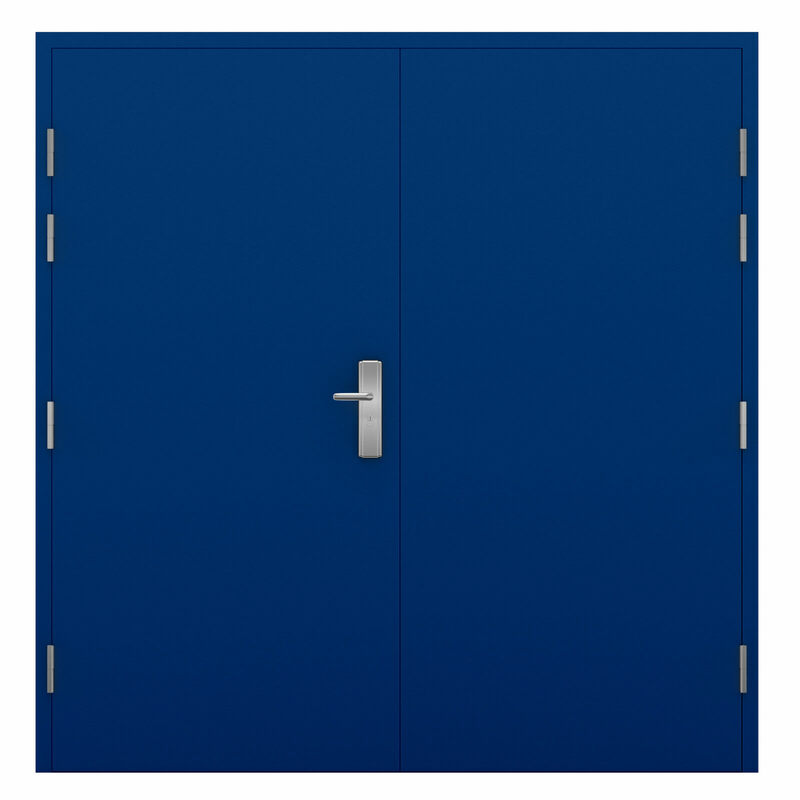 Our Double Steel Doors feature our trademark multi point locking system and are available in stock from 1295mm right up to 1995mm wide (external frame size). 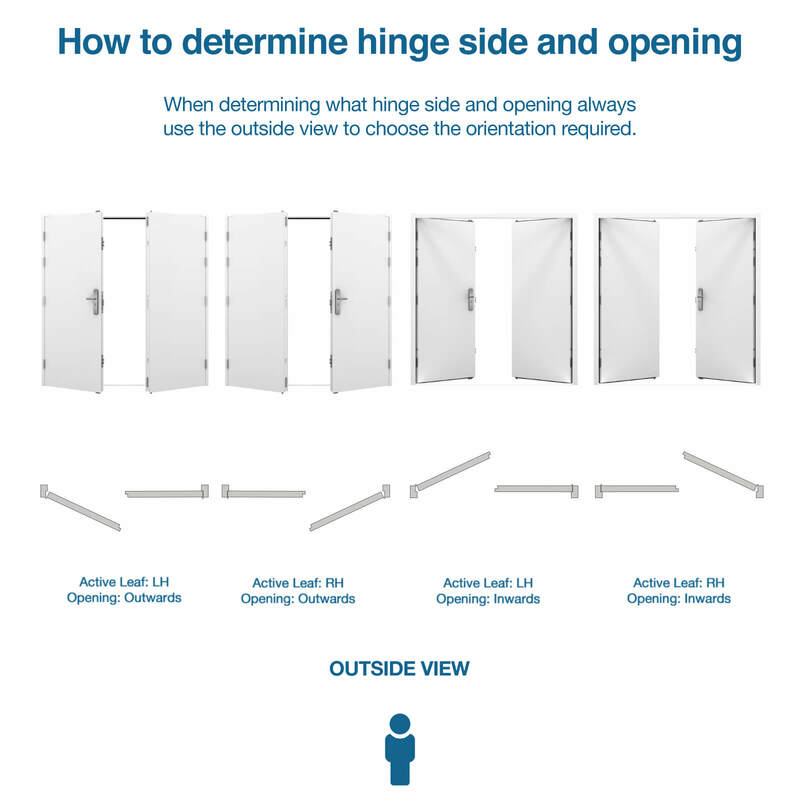 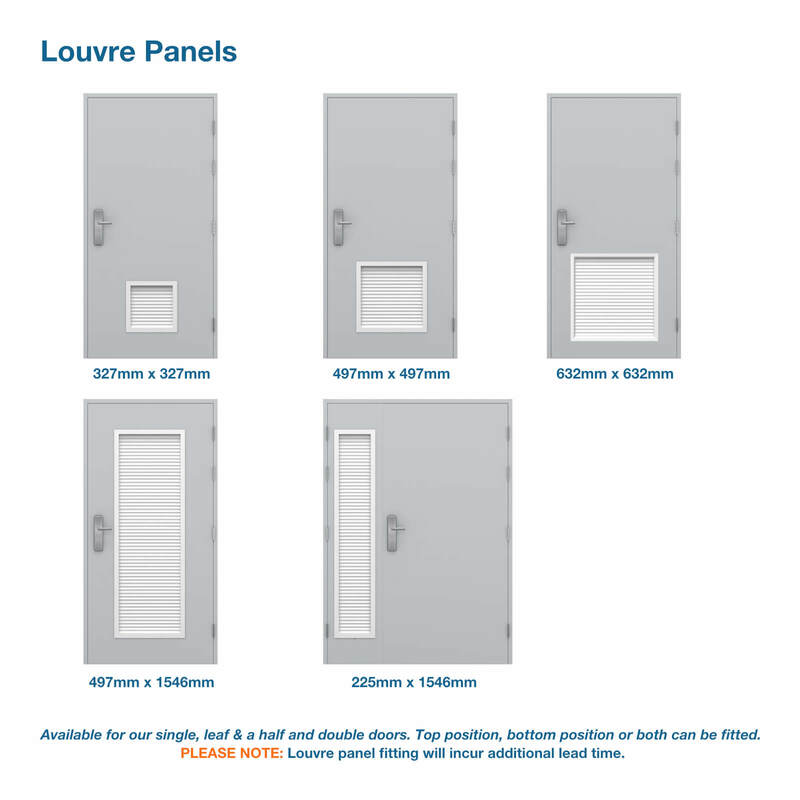 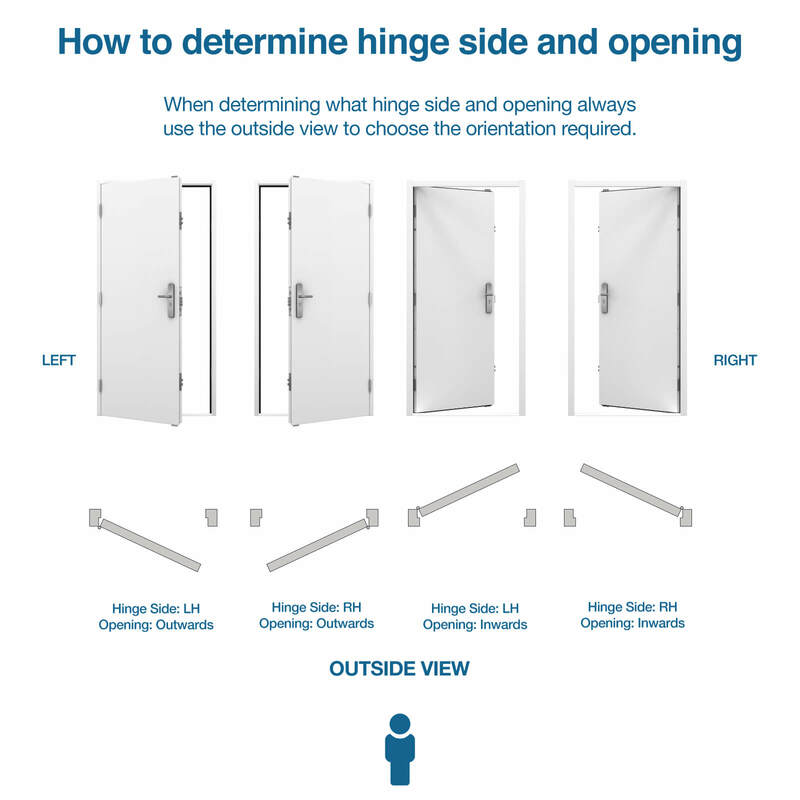 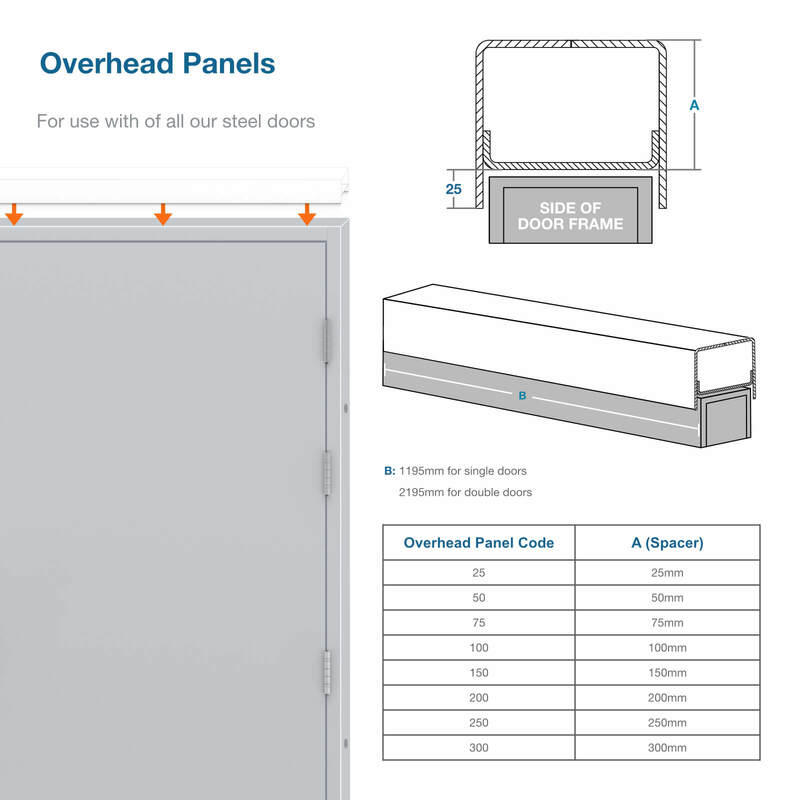 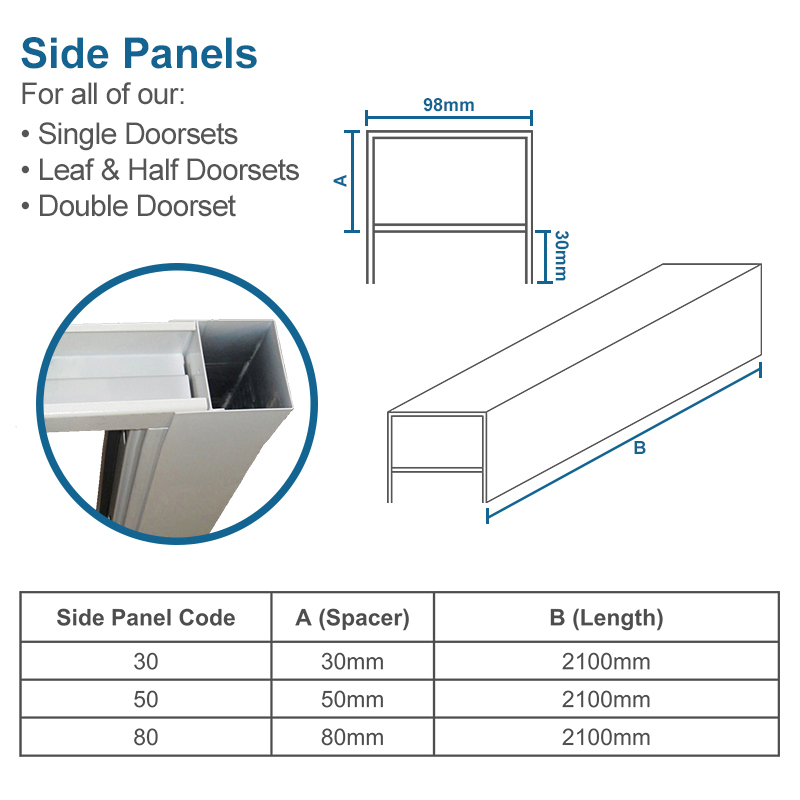 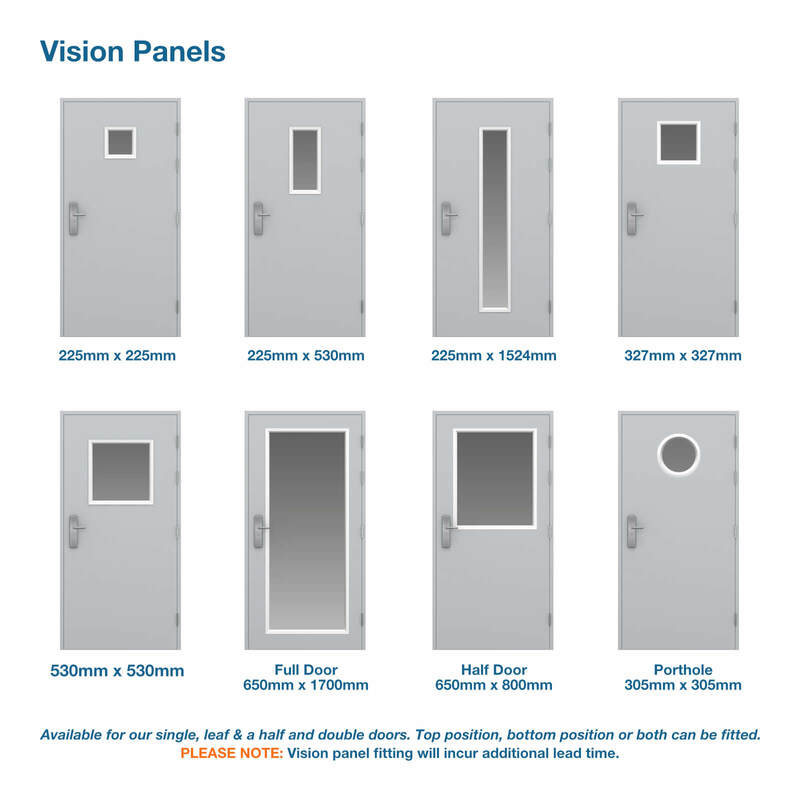 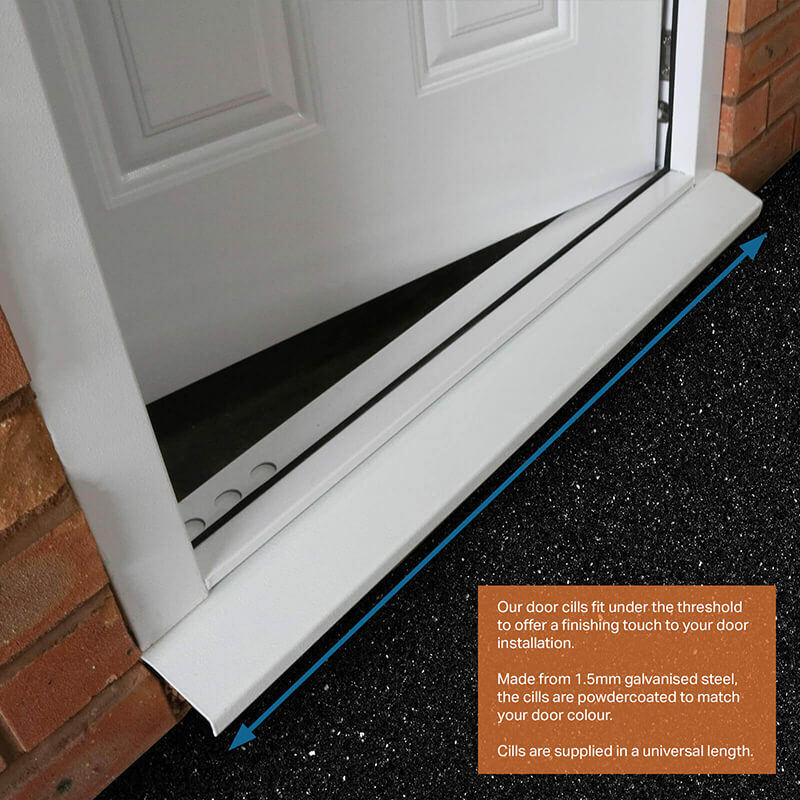 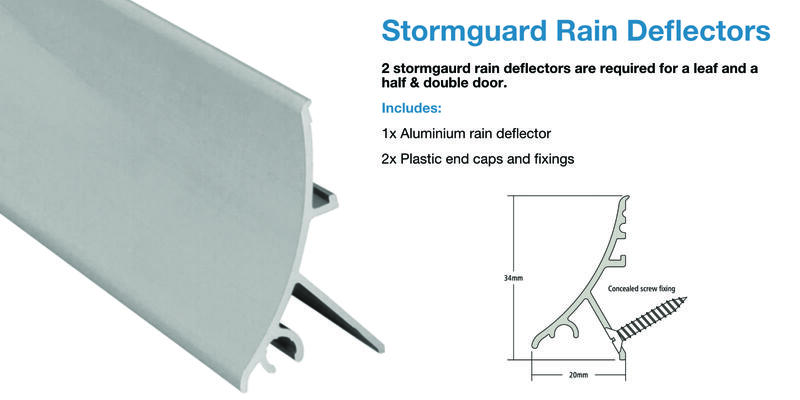 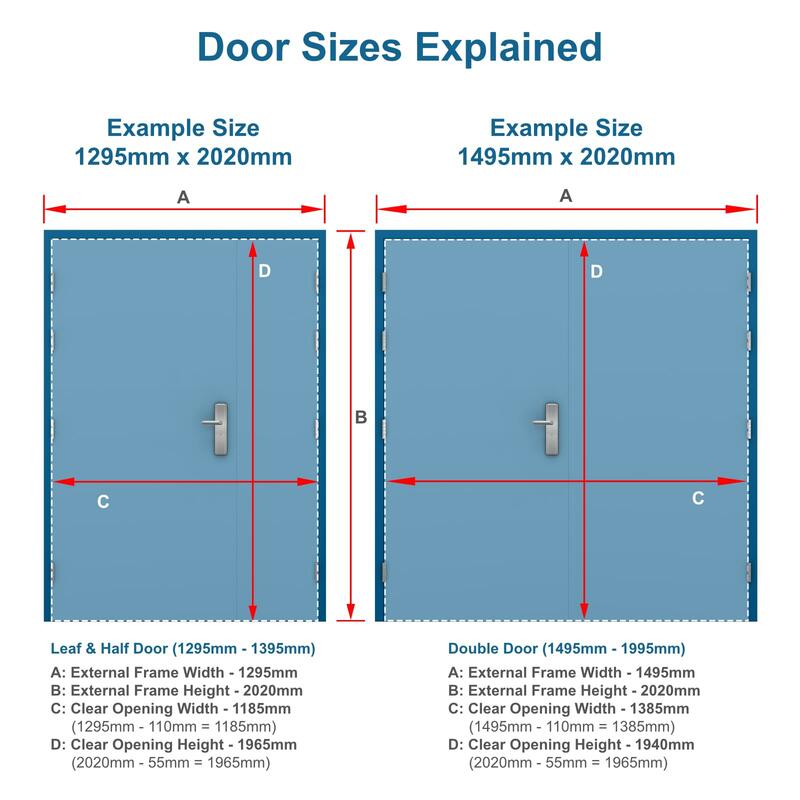 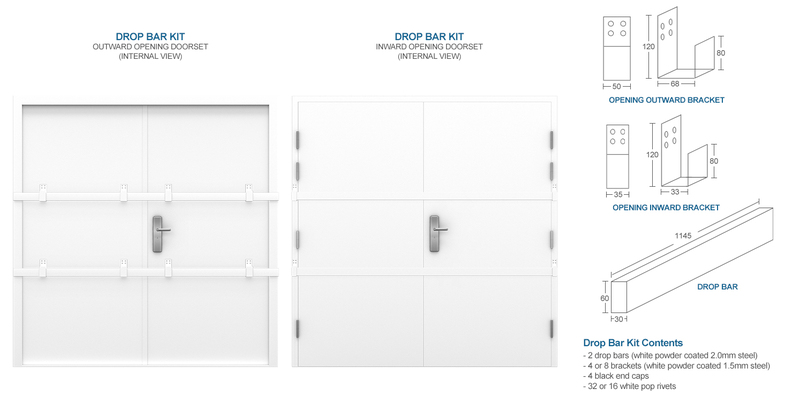 For sizes 1295mm & 1395mm wide we offer our leaf & a half doors; which are a ‘door and a half’ that was introduced to bridge the gap between our single and double steel doors. 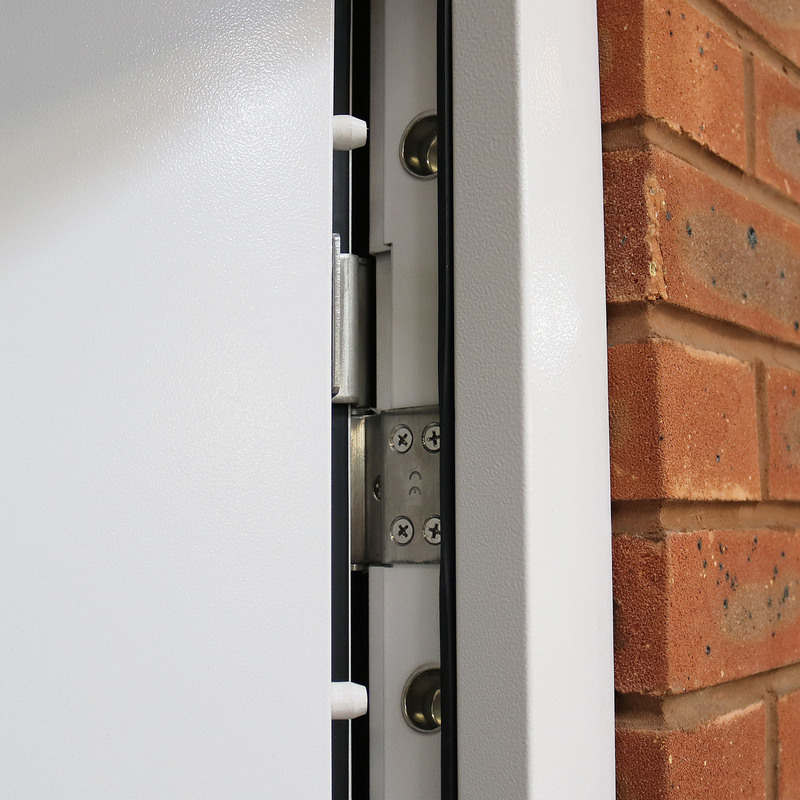 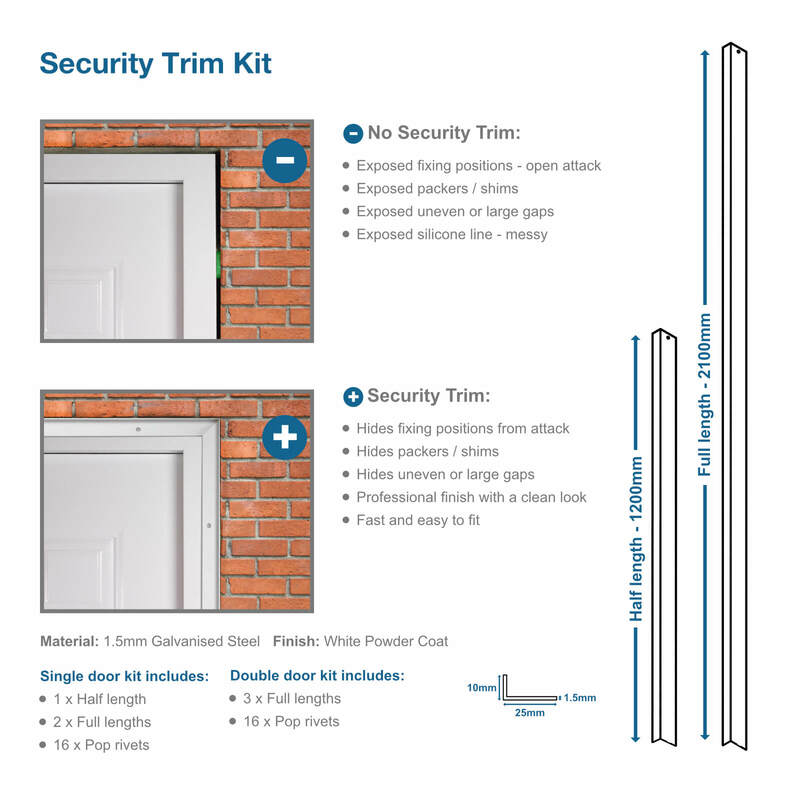 Because these doors are ideal for security applications with large openings, some of our customers even use them as security side hinged garage doors. 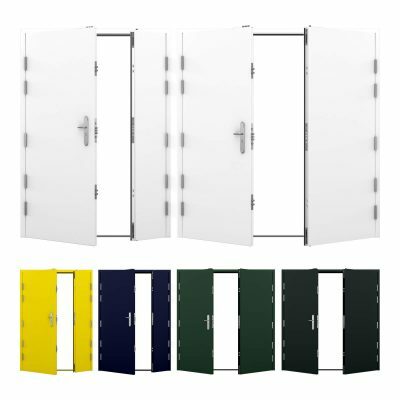 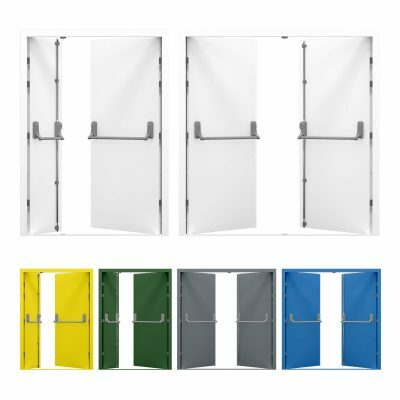 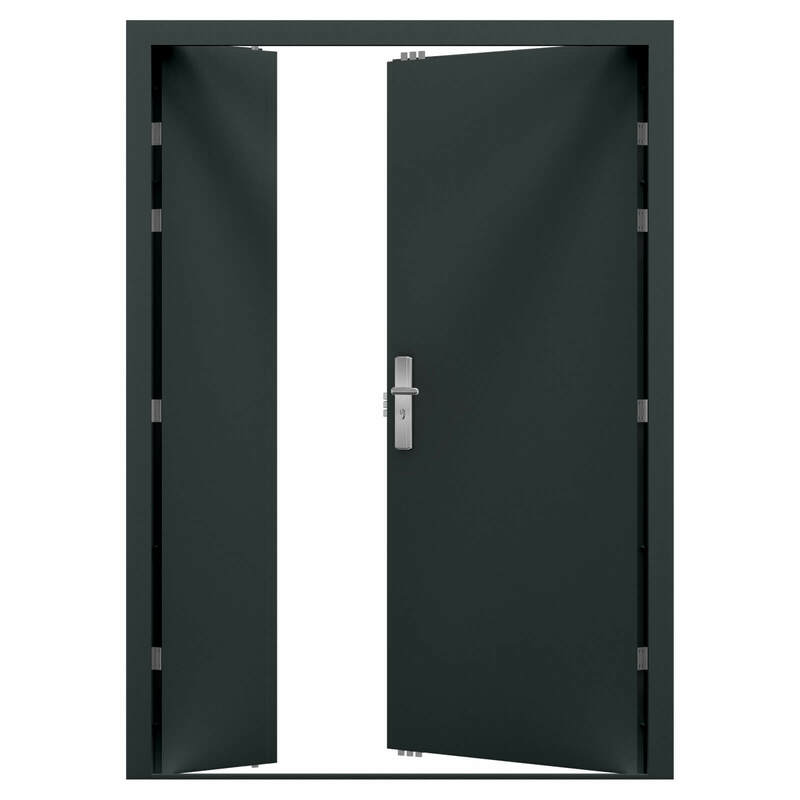 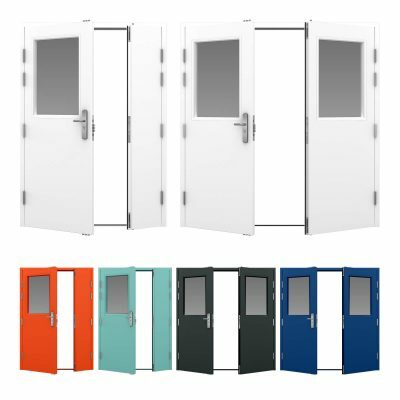 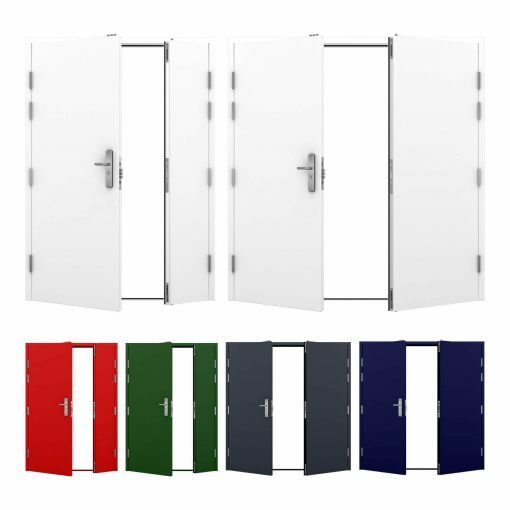 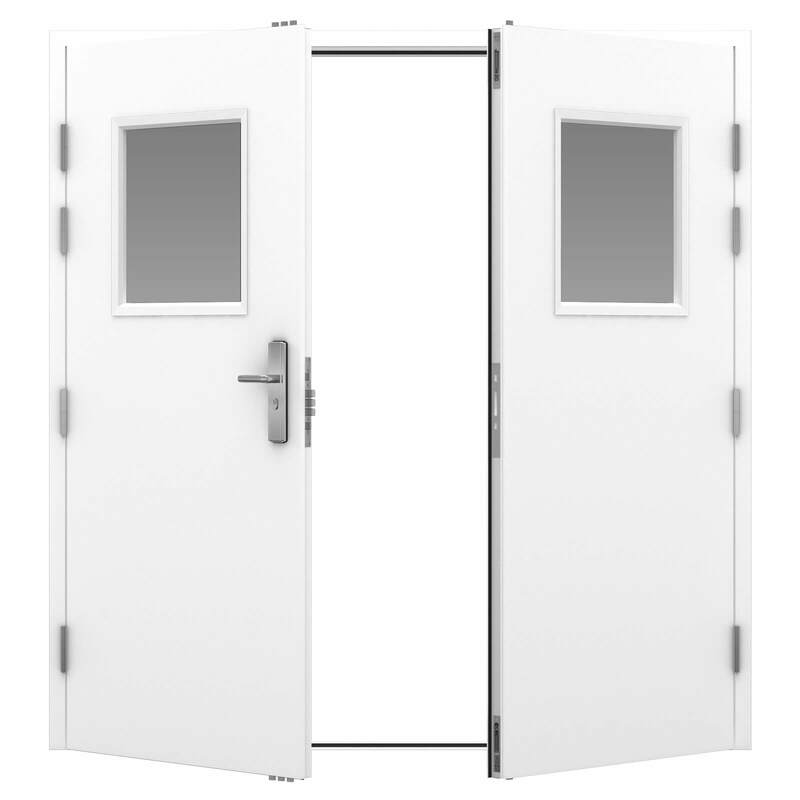 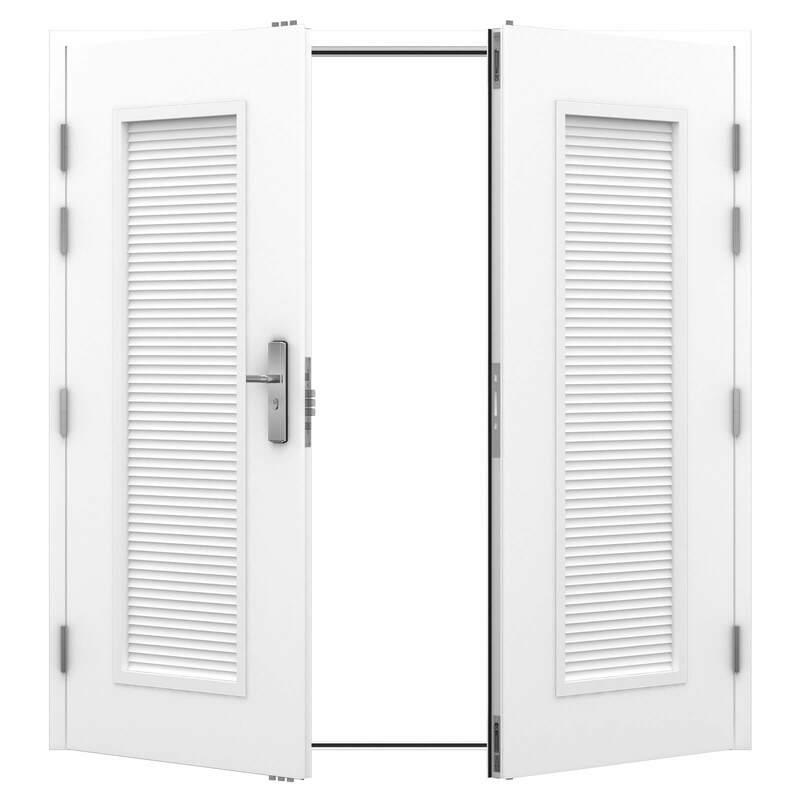 Our new ultra steel double door range is now in stock, in a larger range of sizes (1295mm-2195mm wide) for applications requiring a higher security double door. 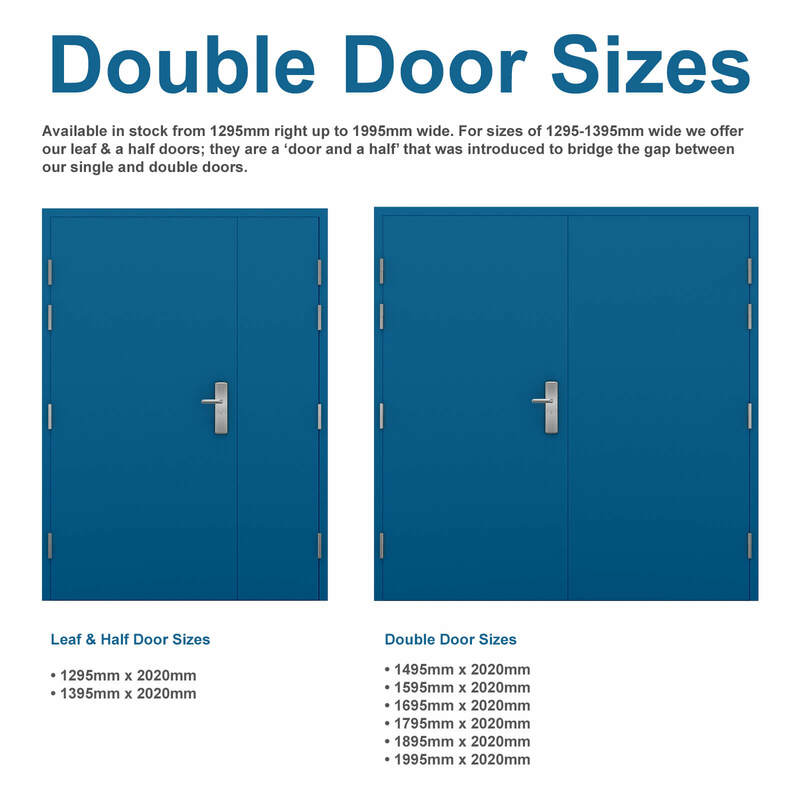 Our Double Steel Doors are available from 1295mm right up to 1995mm and feature our trademark multipoint locking system, we also offer Leaf and a Half Doors which were introduced to bridge the gap between our single and double doors. 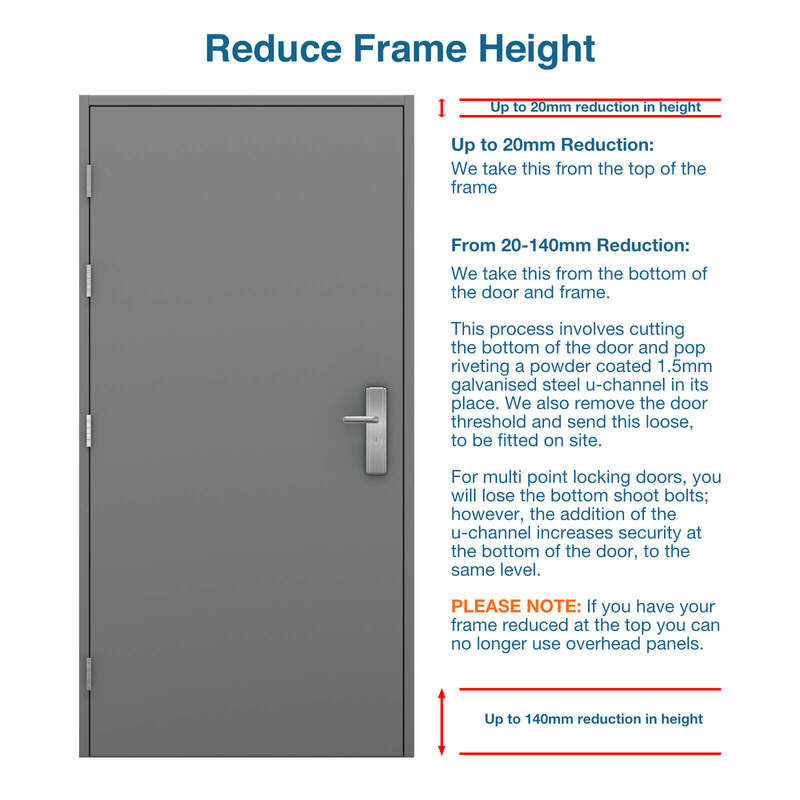 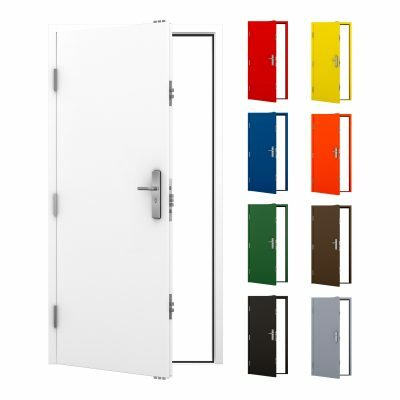 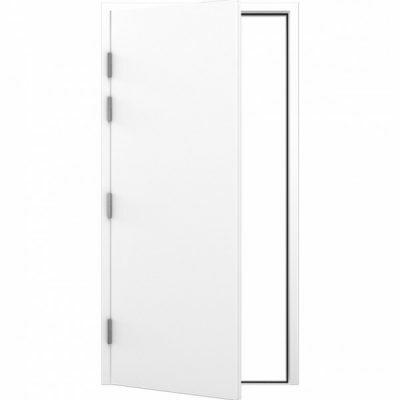 This personnel door is great for disabled access, it also complies with the Disability Discrimination Act by having a level threshold with a maximum upstand of 12mm with chamfered edges. 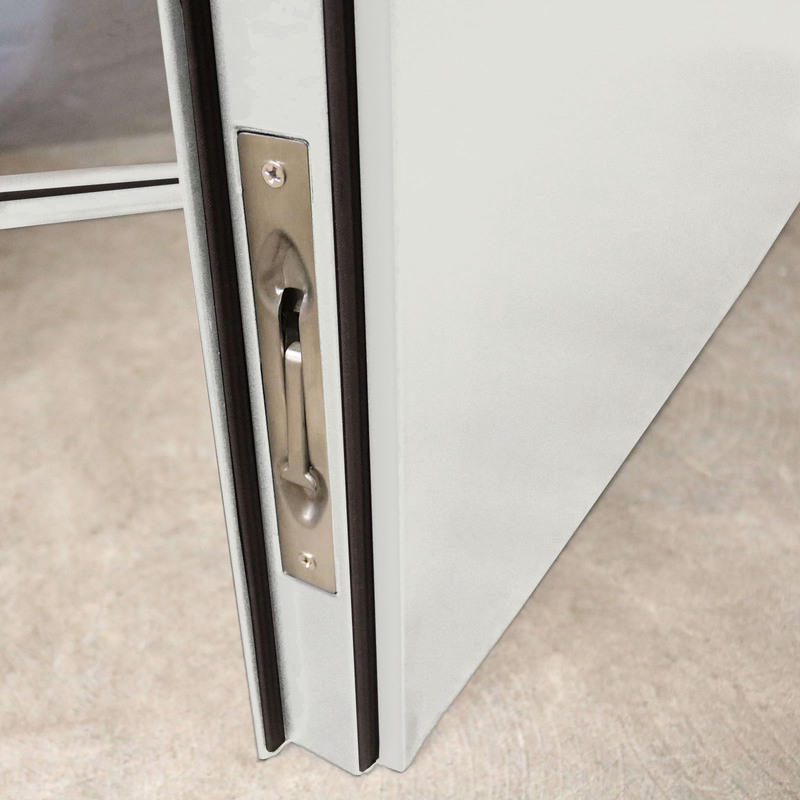 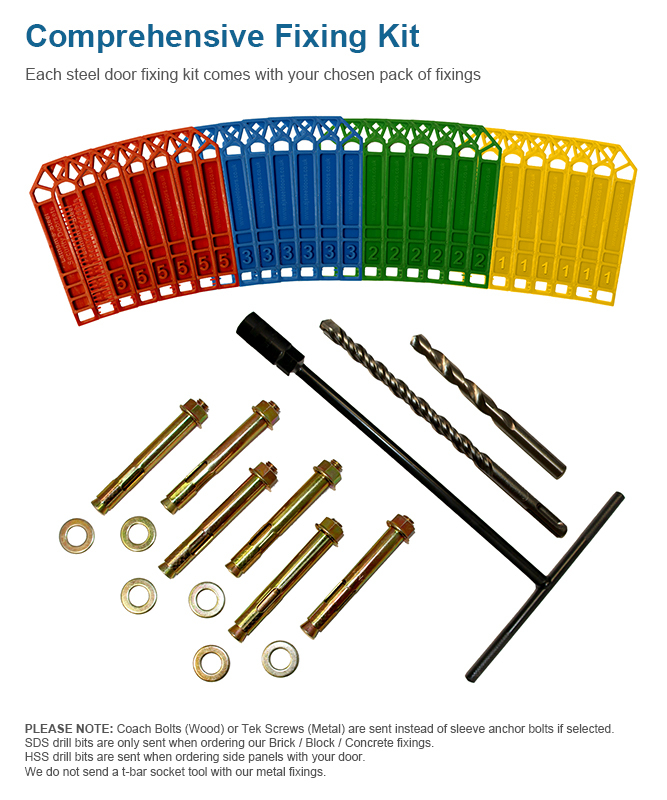 With a range of shoot bolts into the top of the frame, passive leaf and through the bottom threshold into the structure below, including the 4 dog bolts and latch, 21 points secure the steel door in the frame. 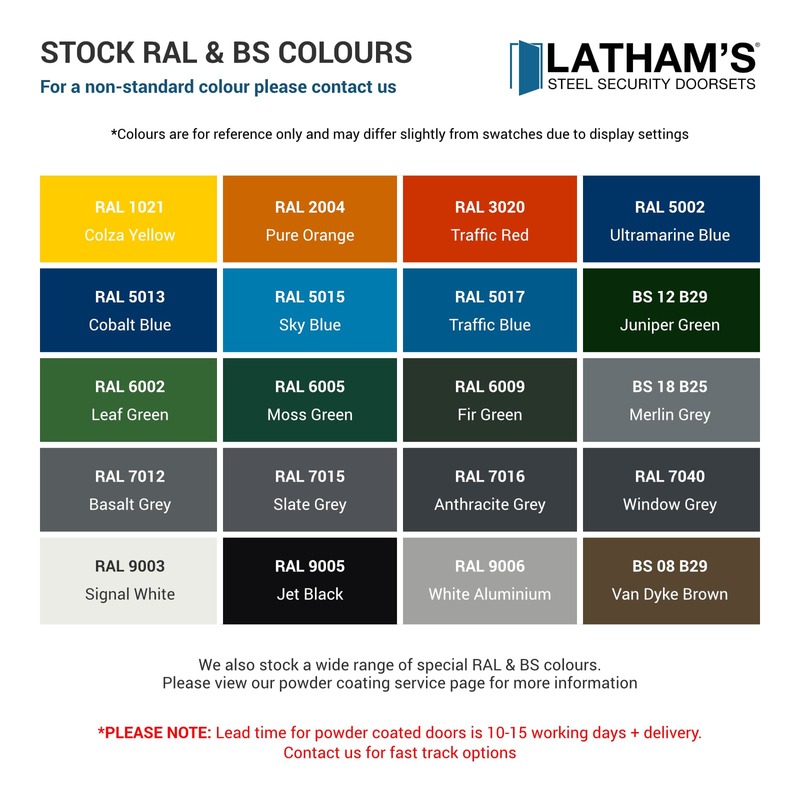 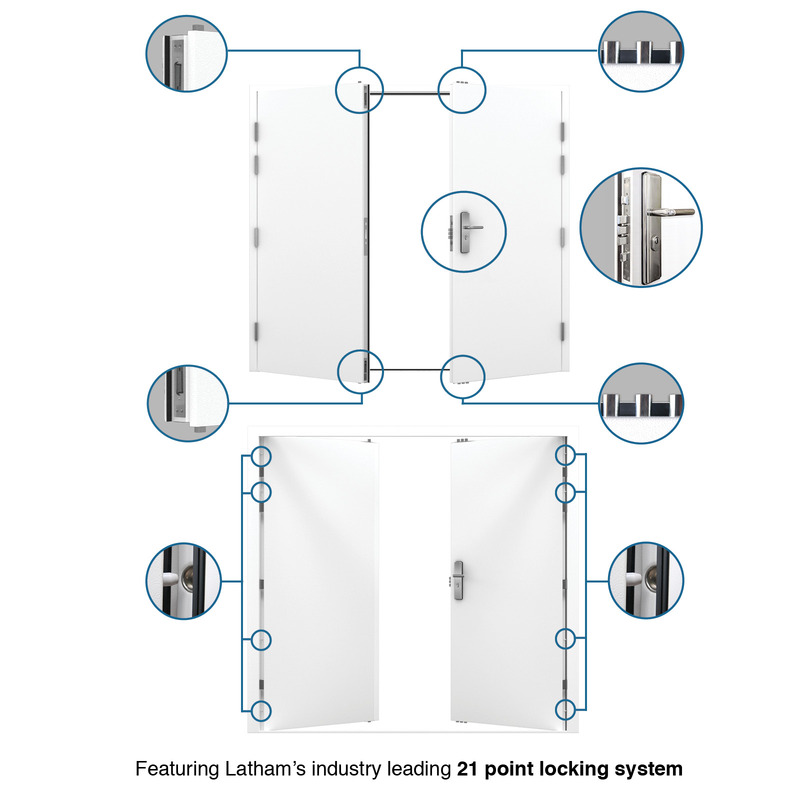 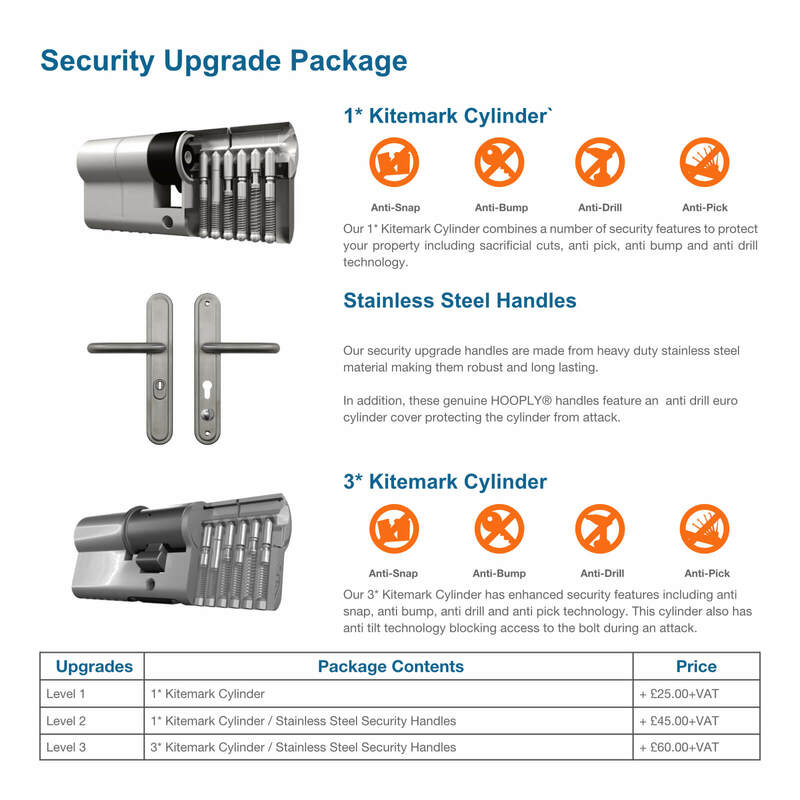 Latham’s steel doors are very versatile and can be used for a variety of applications within your business or your home, in the past customers have even used our Double Security Doors to enhance the security of their garage. 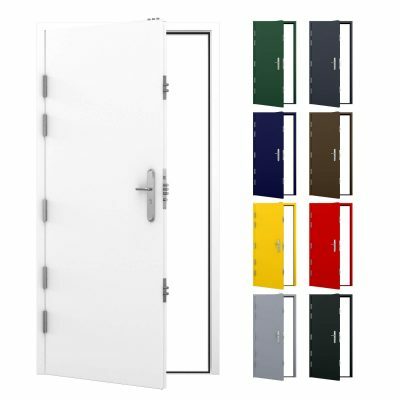 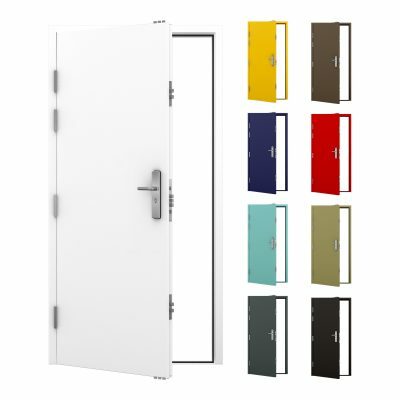 Our range of Double Steel Doors are carried in stock and are available for next day delivery through a dedicated courier, perfect for last minute projects or if the worst should happen and you need a quick replacement. 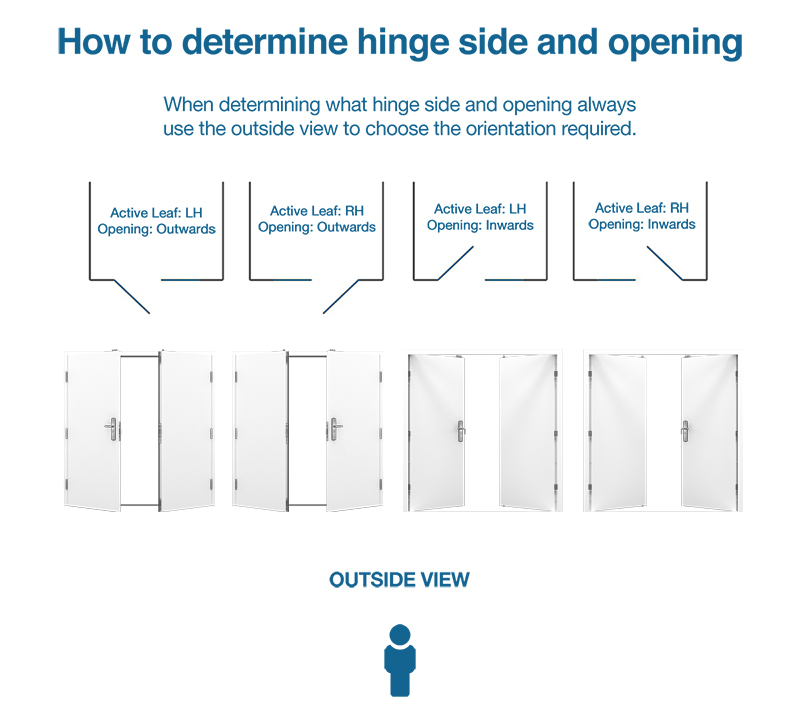 Putting your mind at ease.